Welcome to this Cosmic Giveaway- It's out of this World! 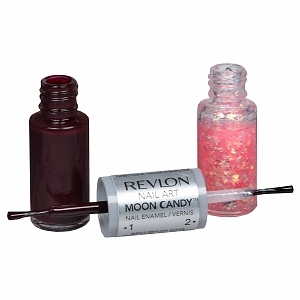 Revlon Nail Art Moon Candy™ allows you to get a gorgeous, iridescent effect inspired by outer space. The holographic glitter top coat is illuminated by the dark cream base coat, giving your nails a multi-dimensional look. The dual-ended package gives you everything you need to create a fun, cosmic look. Check out Pam's Review here from Mom Does Reviews. 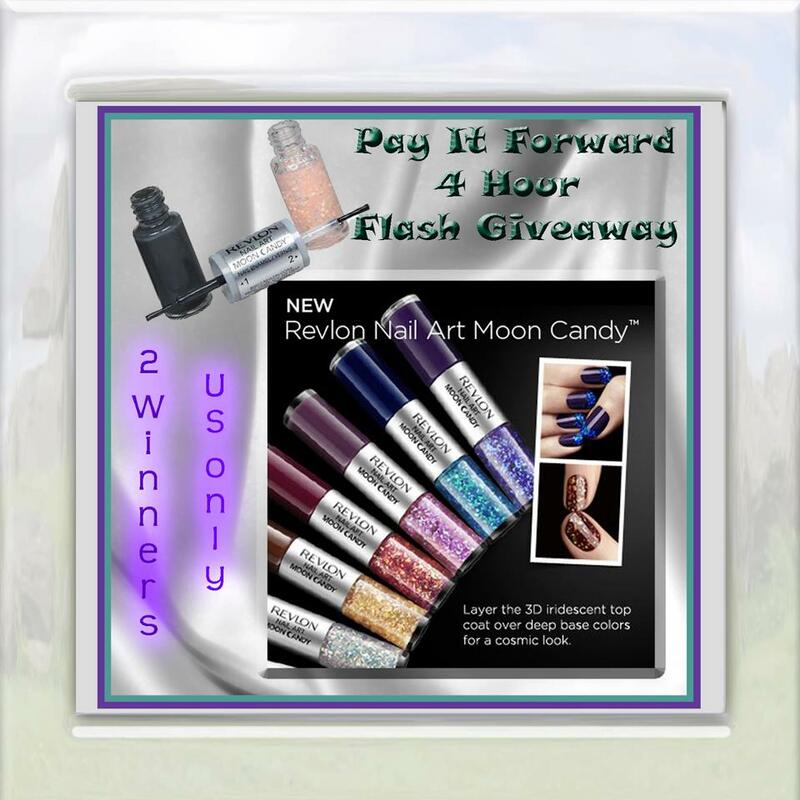 TWO lucky winners will get TWO Moon Candy Nail Polishes. Remember, you can't win if you don't enter! Be sure to do the mandatory entries and claim only the ones you have done. I like reds or redish browns if one color. I like to mix it up with zebra stripes or something like that when I can, combining fun colors too.